Simple and clean. Great looking watch, great price point. I am relatively new to luxury watches. Is having no date considered to be more pure or traditional? I usually like having the date on my watches, but clearly it is not a deal breaker for me. I don't like when the date makes a hole in the dial. It must be well thought, well located and big date even better... If we cannot avoid it. An example of a nice date: The Datograph. Thanks for cleaning it up! And for those who are curious, it is a 38mm, and it wears that size. For me, it is about as small as I like to go. But really a great watch. Despite the Sellita movement... May I ask - what‘s the lug to lug size in total? This 2892 is a ETA workhorse movement , extremely reliable. A beautyful piece, enjoy. Very classy , especially loosing the date window. Great price point compared to the 4945 and 4946 both with date window. Wear with pride . 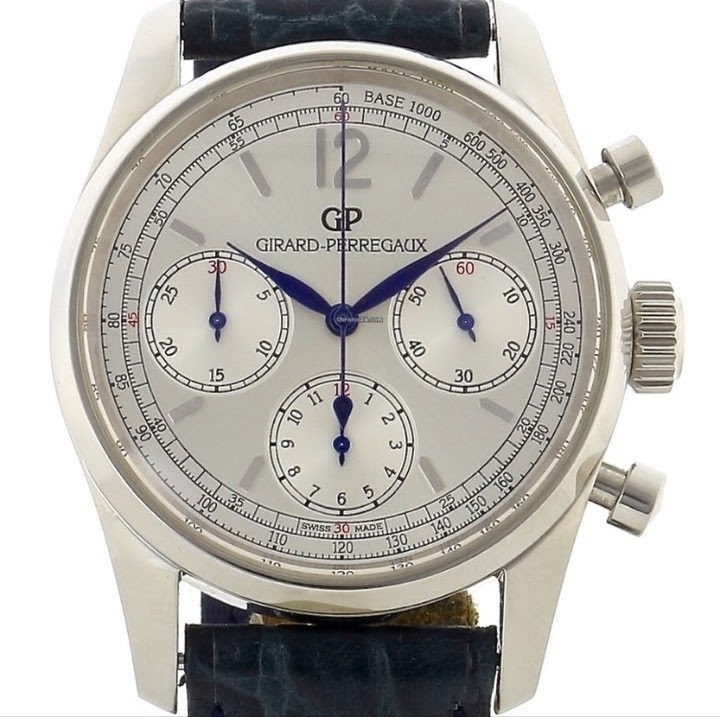 I own one too and love it as a dress chronograph. No date, a balanced dial, six blued hands, and sensibly sized at 38mm (though it wears like a 39mm). And very fairly priced too.